The upcoming Chevrolet Camaro ZL1 is rumored to have over 570hp. If this is the case, it'll come very close to the Corvette ZR1 in terms of output and will also give the Ford Shelby GT500 serious competition. We&apos;ve known that the upcoming Camaro ZL1 will have some serious power under the hood. But how much exactly? 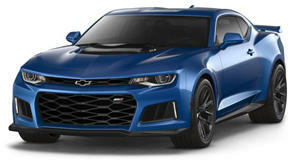 Word now is that the 2012 ZL1 will be drawing some close comparison to the Corvette ZR1&apos;s overall ouput. For comparison, the ZR1 is powered by a 6.2-liter LS9 engine that churns out 638hp and 604lb-ft of torque. The LSA engine in the Camaro ZL1 just finished SAE testing and the performance output has been reported in the neighborhood of "over 570hp." There are even rumors that the Camaro ZL1 will top the Shelby GT500 in horses, at least for the time being. The GT500 generates its power from a 5.4-liter aluminum engine and produces 550hp and 510 lb-ft of torque. There is even buzz going around that Ford will increase the car&apos;s overall performance to "over 600hp". But for the moment, it appears the Camaro ZL1 will be in the horse race lead. 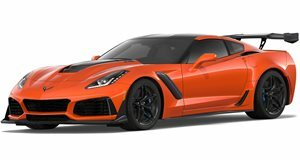 Could this mean the Camaro ZL1 might give its sibling Corvette ZR1 some competition under the hood? According to the rumors, it seems very likely.